A Great American Print Shop of Denver offers a variety of custom printed tablecloth options for your next trade show or event. Printed tablecloths are a great way to spice up your booth and add branding to your displays. Our most commonly ordered sizes are listed below. Contact us for other sizes, options, and bulk discounts. 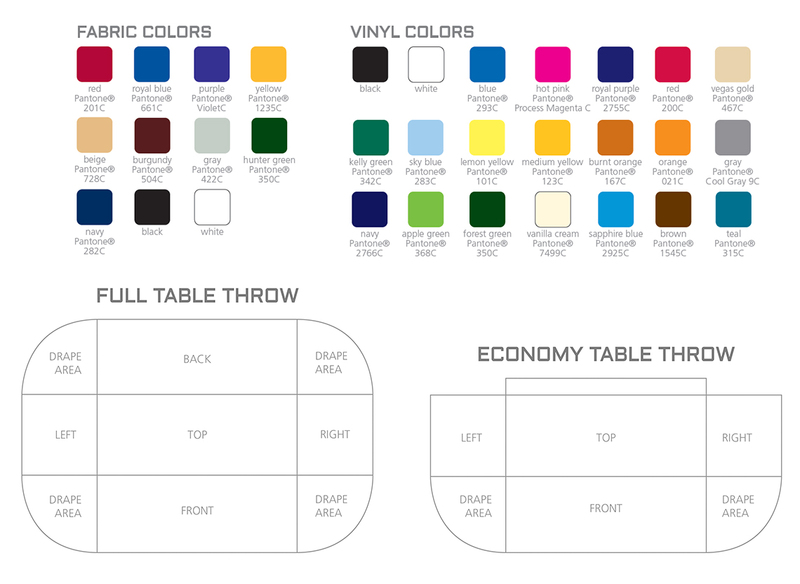 *1 and 2 color imprints must be chosen from the selection of fabric and vinyl colors below.